The American chestnut was one of America's most common, valued, and beloved trees—a "perfect tree" that ruled the forests from Georgia to Maine. But in the early twentieth century, an exotic plague swept through the chestnut forests with the force of a wildfire. Within forty years, the blight had killed close to four billion trees and left the species teetering on the brink of extinction. It was one of the worst ecological blows to North America since the Ice Age—and one most experts considered beyond repair. 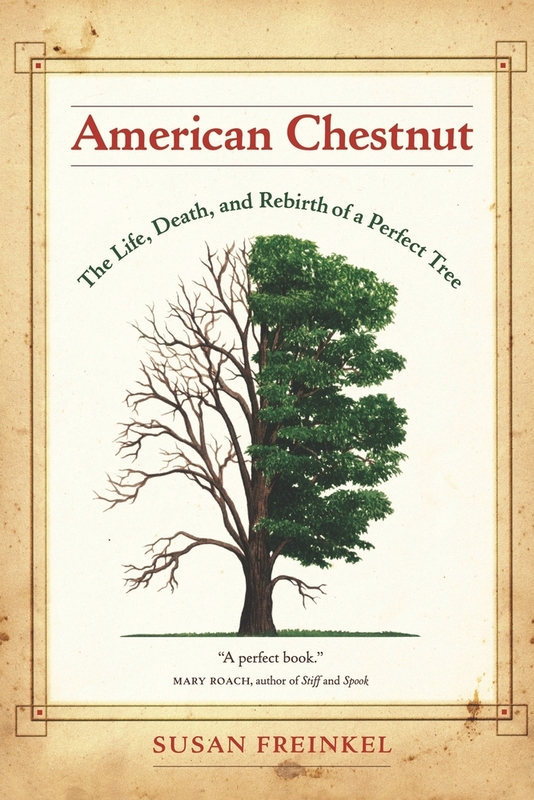 In American Chestnut, Susan Freinkel tells the dramatic story of the stubborn optimists who refused to let this cultural icon go. In a compelling weave of history, science, and personal observation, she relates their quest to save the tree through methods that ranged from classical plant breeding to cutting-edge gene technology. But the heart of her story is the cast of unconventional characters who have fought for the tree for a century, undeterred by setbacks or skeptics, and fueled by their dreams of restored forests and their powerful affinity for a fellow species. Susan Freinkel is a freelance science journalist whose feature writing has appeared in Discover, Health, Smithsonian, and the Reader’s Digest, among many national magazines.